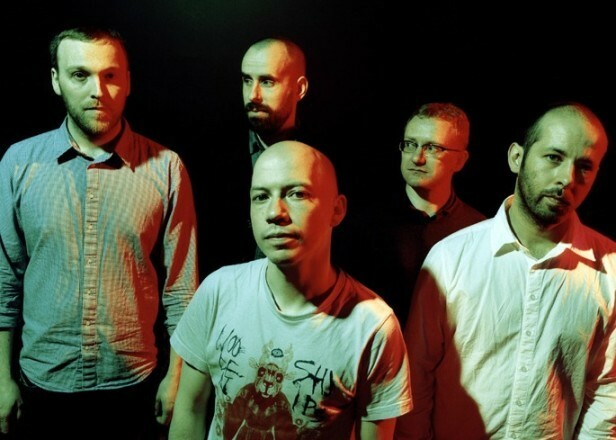 Guitarist John Cummings has left Mogwai. Cummings had been with the band for the best part of two decades, first appearing on their 1997 debut album Mogwai Young Team. A statement on Mogwai’s website explains that Cummings has left to focus on his own musical projects and the band will continue as a four-piece. This year the band celebrated 20 years in action with the Central Belters compilation and a series of anniversary gigs – check out FACT’s photos from the show at London’s Roundhouse. They’re currently recording a new album at their own Castle of Doom Studios in Glasgow. Read the band’s statement below and hear Cummings sing on ‘Boring Machines Disturbs Sleep’ from 2003’s Happy Songs for Happy People. “We are sad to announce that John Cummings has decided to leave Mogwai to pursue his own musical projects. “We will continue as a four piece of Dominic Aitchison, Stuart Braithwaite, Martin Bulloch and Barry Burns and shall be joined on our upcoming live shows by Scott Paterson and Luke Sutherland.